If you are interested in registering multiple people to view a webcast(s) in a group setting, start by choosing a desired program within this catalog . 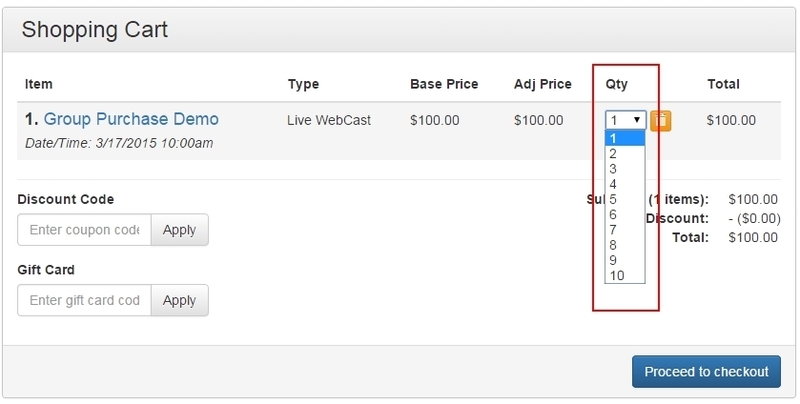 Then, request Group Webcast Pricing and Information via the "Go" button located in the top right sidebar. Please Note: The instructions below will walk a firm or company administrator through the process of registering multiple individuals within a firm or company for an upcoming webcast(s). This process is for individual viewing, not group viewing. Group viewing instructions are noted above. As with every live webcast, unique code letters will be displayed throughout the webcast which need to be kept track of. If a group has viewed a webcast using one ACPEN account, that user will enter the unique code letters by clicking the "Certificate" tab. The additional registrants can earn CE by logging into their individual ACPEN account and find the just viewed seminar under the "Pending Seminars" tab and then enter those same code letters under the "Certificate" tab. For registrants who don't have an existing ACPEN account, an account will be auto-created and the registrant will receive a welcome email as well as information detailing that a seminar has been purchased on their behalf.